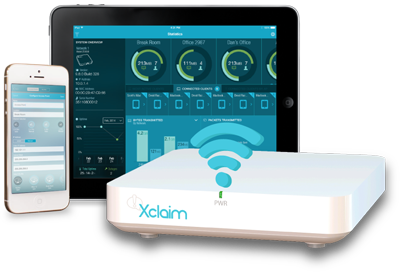 Xclaim has developed a new, incredibly simple approach to wireless. Xclaim indoor and outdoor controller-free APs deliver enterprise-grade wireless performance and reliability at breakthrough price points, making them ideal for cost-conscious small business environments. Enterprise Wi-Fi capabilities such as dynamic channel selection, band steering, client isolation, and airtime fairness all come standard in Xclaim APs to ensure the highest levels of Wi-Fi reliability, security and performance without constant manual optimization. Local management is provided immediately through Harmony for Xclaim. Supported on iOS and Android smart mobile devices, Harmony for Xclaim revolutionizes and simplifies the discovery of APs, the configuration of wireless parameters and the ongoing monitoring of wireless LAN environments–-truly controller-free—eliminating the requirement for businesses to purchase any additional management hardware, software or AP licenses. ClientWifi.com is a division of Virtual Graffiti Inc, an authorized Xclaim reseller.